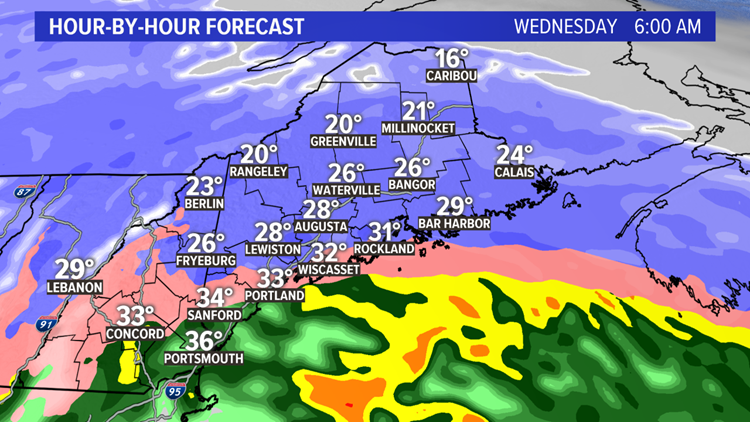 Cancellations and delays likely Wednesday. 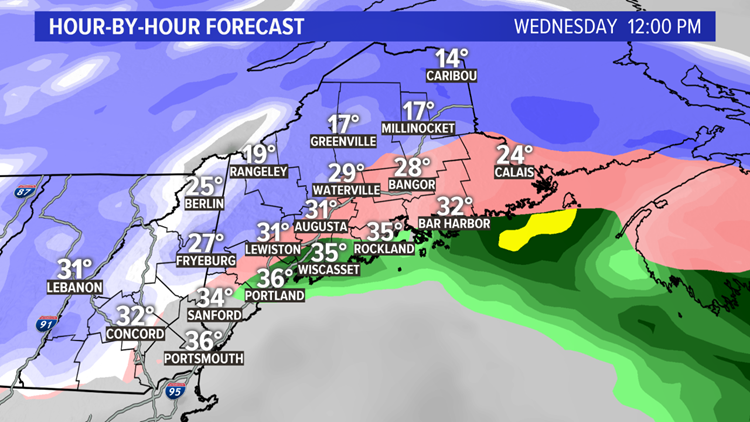 Everything is on track for another messy storm, first dropping several inches of snow Tuesday night, then changing to a wintry mix in parts of the area Wednesday morning. Snow moves in Tuesday evening after most get home from work, but the start time will be earlier in York County, closer to 4 p.m. Once the snow starts, roads will become slippery pretty quickly, with temperatures in the 20s. 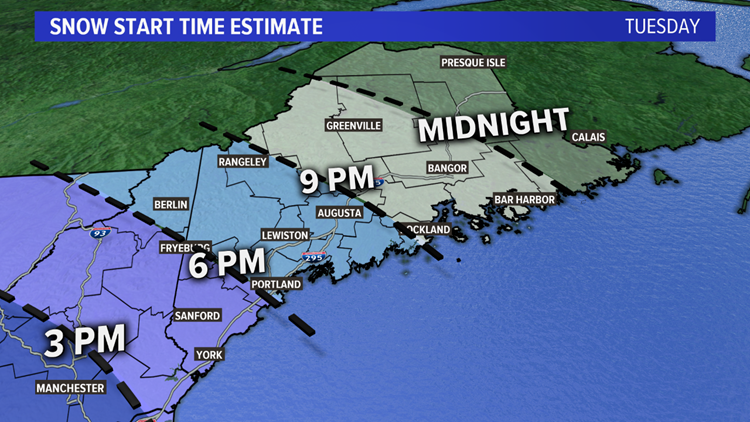 By 2 a.m., mixing is likely to start in southern Maine. Before this happens, most areas should see at least 6 inches of snow and some will see more. The storm will slow as it moves up the coast and into the Maritimes. 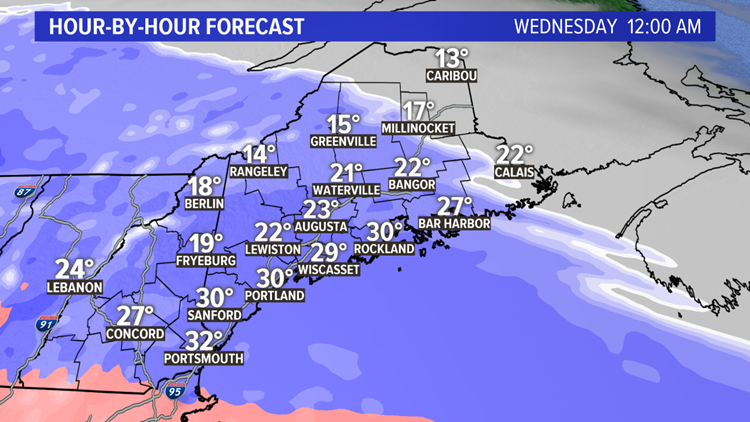 This will delay the ending until midday across western Maine and the afternoon for eastern Maine. The evening commute will be much improved for most. Important to note coastal flooding isn't much of a concern with this storm; tides are astronomically low. There shouldn't be much wind either, so power outages are not a big threat. We're still expecting at least 6 inches before any mixing takes place, and if the mixing is delayed there may be as much as 10 inches. 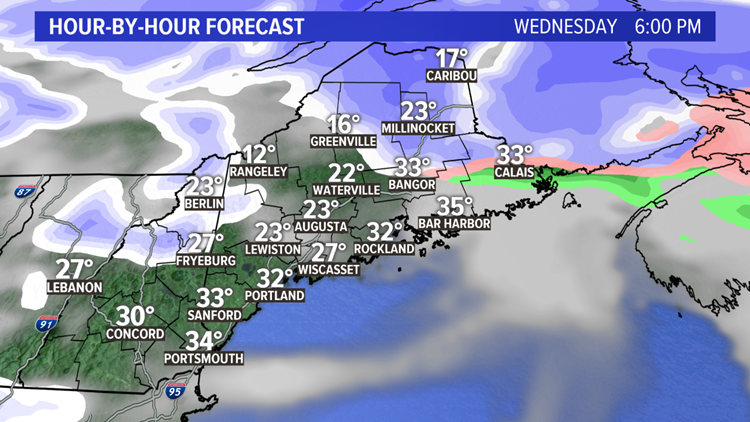 A bit less than 6 inches might fall on parts of the Midcoast and Downeast, where there’s a higher chance of rain cutting down totals Wednesday morning. 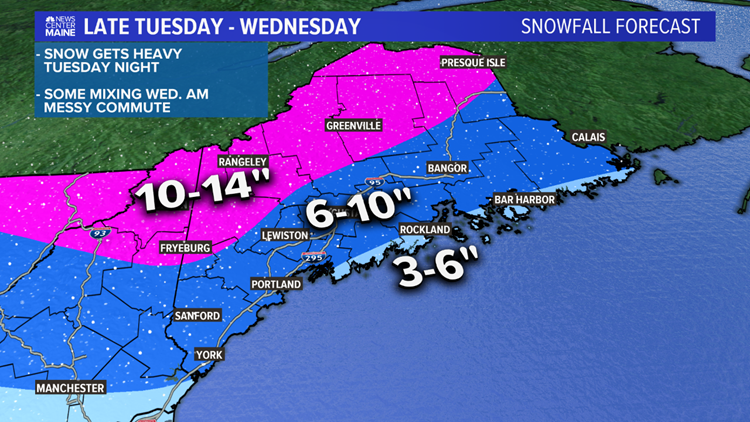 Farther north and west, mostly snow is expected, 10 to 14 inches. It’s going to be a good storm for the mountains, with mostly snow and just a little mixing with sleet. Stay with us for updates through the storm.